Coach, Business Strategist and Creator of Build Your Backbone, Sister! Sadly, for many people the answer to this question is "No. It's not simple. Far from it" For them, years of meeting other people's expectations or desires means that tuning into what they really want is an almost impossible task. Remember the film Runaway Bride starring Julia Roberts? The premise is that Julia's character doesn't really know how she prefers her eggs to be cooked. Why? Because in each relationship she chooses scrambled, poached or fried depending upon the preference expressed by whomever she is currently engaged to. Many of the women I coach express the same confusion. "I don't really know what I want" Years of thinking and providing for the needs of others -- partners, children, family, colleagues, clients -- means that they very rarely, if ever, have they taken the time to focus and define their own wants and desires. To get clear about what you want in life, you really have to determine 'how you like your eggs.' And here is a five-step exercise I have designed to help you do so. 1. What makes you happy? What do you love doing? 2. What have been your most enjoyable achievements in life so far? 3. If you could do, be or have anything you wanted, what would you choose? 4. What would you do if you knew you could not fail? 5. You are given a billion dollars. What do you do? 6.	Who inspires you? What qualities do they have that you most admire? Read through your answers and highlight the words and phrases that leap out and feel best to you. It doesn't matter how few or how many you choose, just go through with a highlighter and complete this edit. Reading. Spending time with my family. Being by the beach. Getting my degree. Cooking on the radio. Live in Italy for six months. Write a novel. Own a vintage caravan. Set up a charitable foundation. Persistent. Loving. Fun. Now, you can craft this shorter version into a set of specific actions that you can take to bring more of what you like doing or would like to do into your life. 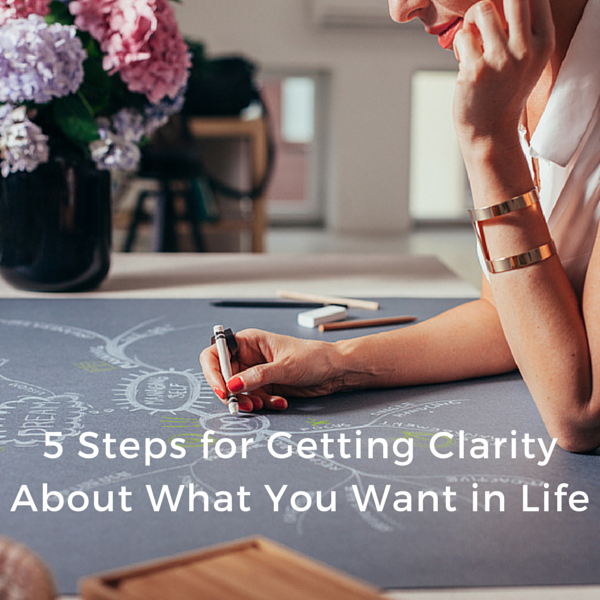 Doing more of what you want to do (or think you want to do) immediately brings contrast and greater clarity. Here's an example of how this list may look. •	Look at beach-side properties. You get the idea. Keep going until you have completed the exercise for each of the answers on your edited list. Be creative. Take action. Immerse yourself in activities that you enjoy doing or think you might like doing. Sometimes we don't even attempt things that we may want to do because of a lack of time or a lack of money. The reality is that there are things that you can do now without waiting for hours more time in your day or a huge lottery win. Want to set up a charitable foundation? Start small. Begin by giving more of yourself. Think generously about others. Donate old clothes and household items to a charity shop. Donate your time by volunteering at the local animal shelter. Take small steps in the right direction. Finally, for each item on your list, set a time and date when you will take action. Getting clear about what you do want is a process of trial and error. Try something. Do I like this? Yes. No. The key is to do more of what you enjoy and you will continually clarify what it is that you want to do, be and have in life. Now, how DO you like your eggs? Please comment below to let me know how you get on with this activity and if you would like a downloadable worksheet, please join the free Life Design Mastermind on Facebook and say hello. 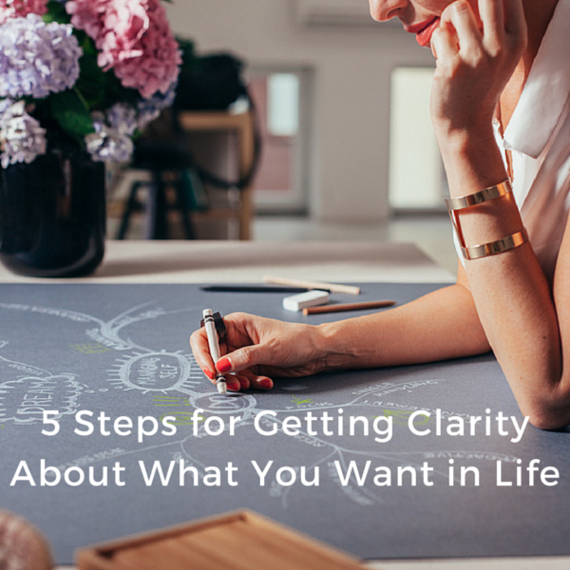 You can also learn more tips for getting clarity in your life by watching my Clarity Webinar. Tired of settling for silver when gold is within your reach? Lara Young empowers women to stay the course when the going gets tough - propelling them to go for their dreams in life and business. The founder of Design Your Fabulous Future and the creator of Build Your Backbone, Sister! she's been coaching, leading change and hosting retreats for 20+ years. Lara has established and ran a 5* retreat venue, cooked on the radio and traveled the world in search of the perfect Laksa. Lara believes that every woman deserves to design and live a life filled with adventure, passion and purpose.